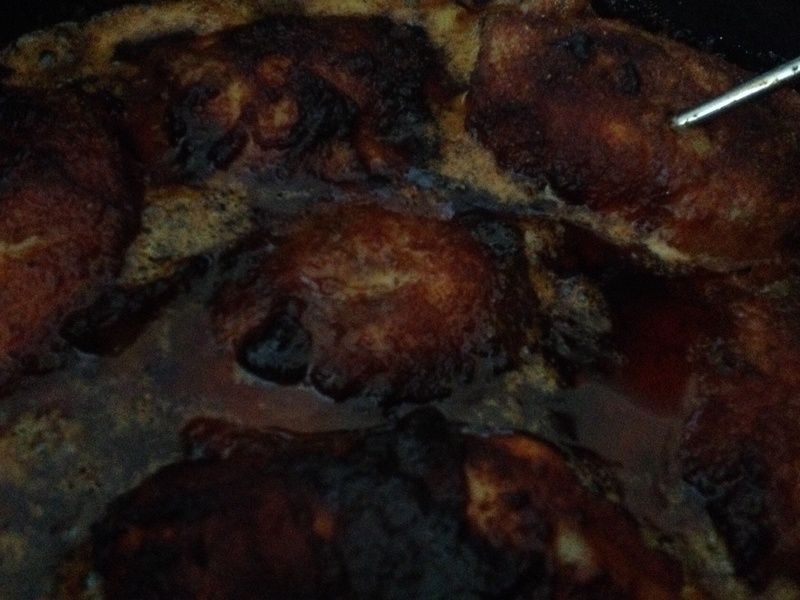 I love chicken thighs. I cook them at least once a week. To me they are by far the tastiest part of a chicken..also normally cheaper than breasts. They stay moist and full of flavour whichever way you cook them. I have cooked them in the oven, on the hob, on the BBQ and in the Sous Vide but today I chose to cook them in the slow cooker. 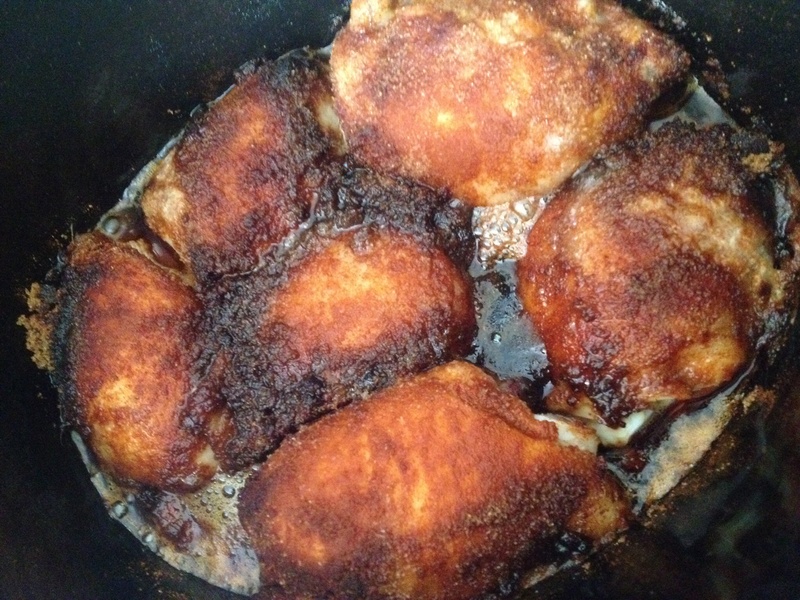 I make this exact same recipe for my oven baked thighs I just add a little olive oil. 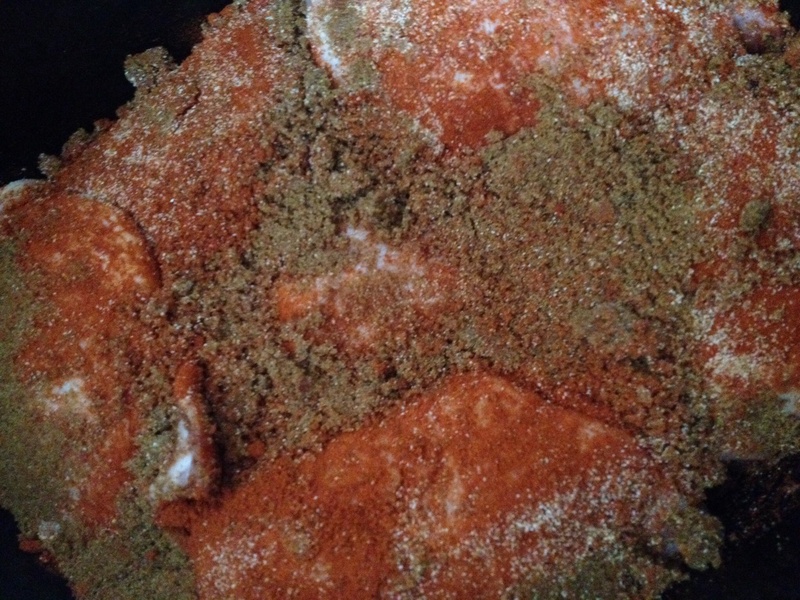 Place your thighs in the slow cooker, sprinkle first with the paprika then the garlic and pepper then finally the sugar. Try to get an even distribution them cook on high for 2 hours and low for 2 hours. I used a temperature probe to check the thighs got to the correct temp. Remove the thighs and leave to rest before serving. 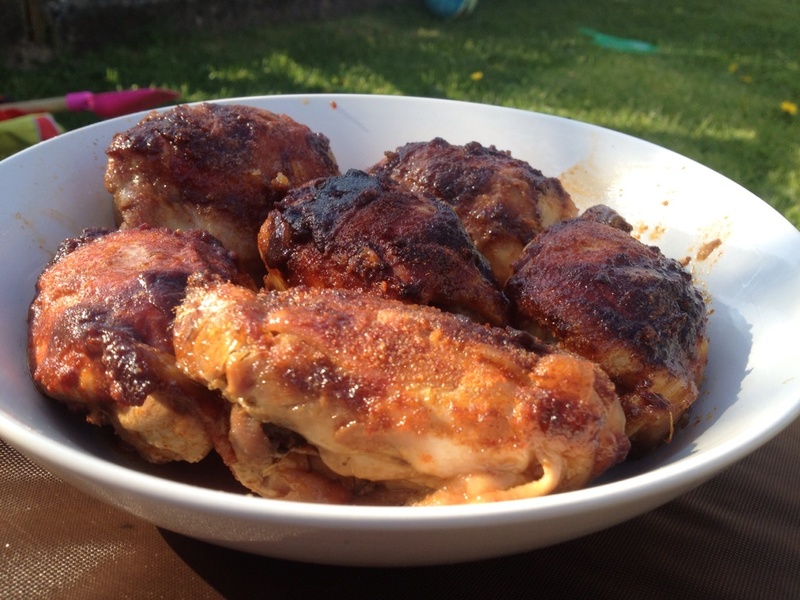 You can tip the sauce/juice into a pan, add some more sugar and reduce to make a sauce to cover or to use in a different dish but the thighs are juicy and full off flavour as they are. They were succulent and so tasty. I think they may even be better than my oven version. If you do want a crispy skin pop these in a very hot oven for 10-15 minutes. – recipe for these to follow soon. 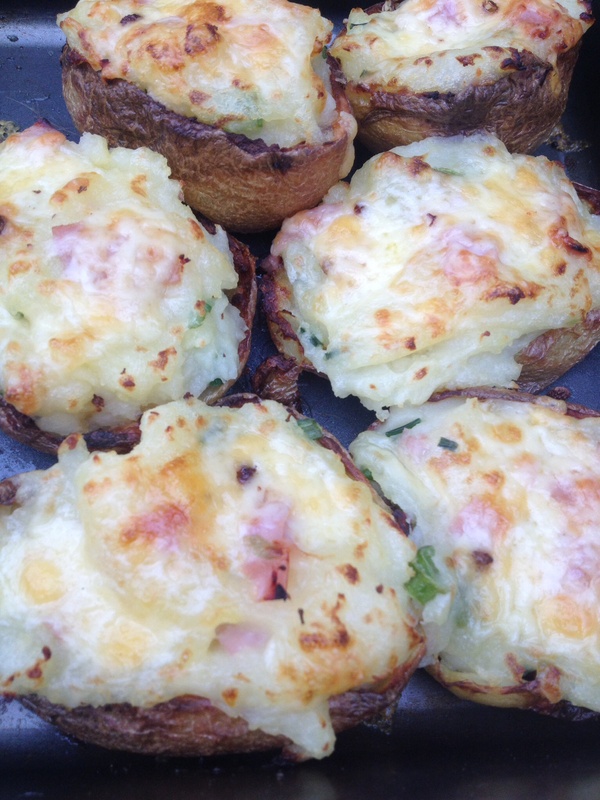 Since I am a vegetarian I am looking forward to your potato skins recipe. they look gorgeous, my husband would love this and the family too I bet! Great to see something like this made from scratch, so many slow cooker recipes use ready made sauces.